The sun is now starting to shine and people are shaking off the winter blues and heading outside. This time of year people are starting to exercise more, shed that “winter weight” and are looking to feel better. But why is it that we feel so much better in the summer? There are many obvious answers: fresh air, warm feels good, less clothes, more things to do. But there are more (or more scientific reasons) than that… ones we both can take greater advantage of (even during the winter) and reasons for warning. For years people have been told repeatedly for the need to use sun screen. They have been shown graphic pictures of melanoma skin cancer and warned of the possibility of death. There is a definite need in our current climate and lifestyle for the use of sun screen and covering up from the sun. Our society has for the majority become urban cave dwellers. As one time hunter/gather/growers we spent the majority of the time under the direct rays of the sun. Over the years this increased the pigment in the skin and not only creates a nice tan but acts as a natural sun screen (the mild scientific backing of a “base tan” before a vacation although the best effect takes years and generations). This is why tribes in Africa do not need sunscreen. We now have been seeking the solace of indoors and are becoming a paler society. The majority of the population spends 5 days a week mostly inside during all sunlight hours at school or work, and when at home we stay inside and play video games, exercise either on a machine or a video game and “hunt” for our food inside a grocery store or restaurant. This increases the risk of developing negative effects from the solar UV rays when we do get outside and thus increases the need for sunscreen and clothing cover ups. Vitamin D can also be supplemented. A good dose is 1000-1500 IU/d daily. This is important for people how either have medical or personal reasons for not getting any sun exposure or during the early spring late fall and winter who live above latitudes above 37 degrees north (above Texas…see map). Vitamin D is not extremely common in foods but some common sources with good levels of Vit. D are listed in the table below. The link between sunlight exposure and depression can be linked to a decrease in the neurotransmitter Serotonin. The winter blues, officially known as Seasonal Affective Disorder (SAD) is characterized by a decrease in energy level, fatigue, difficulty concentrating, irritability, weight gain, and carbohydrate cravings, among other things. These symptoms are worsened by a decrease in fresh air and exercise that accompany the colder weather. I am not recommending that we should all increase or risk of cancer and go with no protection to strengthen our natural defenses. However there is cause to question the American Academy of Dermatology recommends a No-Sun policy. At the least you should avoid prolonged exposure during the hottest time of mid day, wear SPF 15 or more and a hat. Following those basic rules and getting out to enjoy the summer should leaving you feeling happy and healthy. Diehl JW, Chiu MW. Effects of ambient sunlight and photoprotection on vitamin D status. Dermatol Ther.2010 Jan;23(1):48-60. Reichrath J. 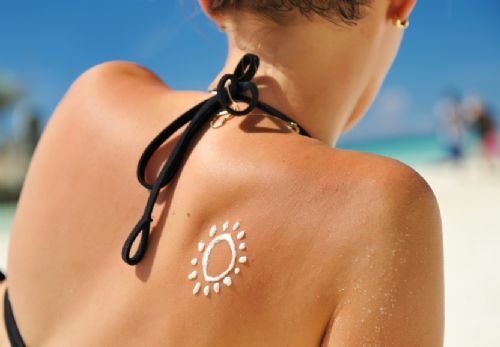 Skin cancer prevention and UV-protection: how to avoid vitamin D-deficiency? Br J Dermatol. 2009 Nov;161 Suppl 3:54-60. It is very important for us to treat the symptoms and make you to feel better but even more important for us to address the cause so we can make you better! Did you know we have full time massage available.